 Welcome back to the Vue Apartments Blog. This is where we share with our readers all of our best advice for apartment living. Check here often for things like recipes, local events, and best places to eat in the Fitchburg area! We’re always sharing unique and useful information here, too. Today we’ve got some ideas for stocking your kitchen and creating the perfect pantry. Maintaining a well-stocked pantry pays in dividends of saved time, money, and energy. Having the necessary items on hand to make a quick meal means less money spent on eating out. You can also plan to buy items on sale for your pantry. Compile a few of your favorite recipes together and make a grocery list to ensure you can always make those things. Having things on hand for a quick dinner or treat will be a lifesaver so you’re not running out to the grocery store at the last second. First, take stock of what you already have on hand and note whether you will soon need more or if the items’ “use by” dates are expired. Think about the entrees you cook often and what goes into them. Add the shelf-safe ingredients to your list of items to be stocked in your pantry. Take into account the spices you like to cook with, whether you spend a lot of time baking, and what your monthly food budget looks like. Add a dollar amount to your monthly food budget set aside specifically for pantry items. There's a multitude of pantry supply lists that you can use as a base for creating your individualized pantry. Keep track of what you need to pick up at the grocery store by using one of these handy apps. We especially like the Out of Milk app (available for both Android and iOS) because with it you can include an ongoing home pantry list. When you are ready to set up your pantry area, plan what will go where. Put heavy items on lower shelves, items that are more rarely used on higher shelves, and items that are used often on easy-to-reach shelves. When possible, use uniform-sized containers for food items. Be sure to label them so you know what you have. Create zones. Zones are a great way to organize. Do you do a lot of baking? Then create a baking zone by putting all of your baking supplies and equipment in the same general area. Do you use the same items for breakfast every morning? A breakfast zone will save you time. Creating zones is a simple concept that works well to keep your kitchen organized. We hope these ideas will help you create (or reorganize) your shelf space to include a well-stocked pantry! Follow these tips and you will be the envy of apartment organizers all over Wisconsin! What are your go-to items for your pantry? Let us know in the comments. Thanks for reading our post today.